The 2018-19 NHL season was number 38 for the Calgary Flames in Calgary and number 46 overall in the league. The Flames placed 5th in the Pacific Division and subsequently failed to make the playoffs. The Flames are back and have championship aspirations for this upcoming season. Led by a talented young core, Calgary is poised to reign atop of the Pacific Division and bring home a Stanley Cup trophy. Division rivals, the Los Angeles Kings and the San Jose Sharks will fight to stop the Flames in their tracks. Grab your Calgary Flames tickets and help lead your team to victory! The Memorable 1989 Stanley Cup Win - On May 25, 1989, the Calgary Flames clashed with the Montreal Canadiens at the Montreal Forum to avenge their three-year old defeat in the 1986 Stanley Cup Finals. It was a game between the top seeds from the Prince of Wales Conference (now Eastern Conference) and the Campbell Conference (now Western Conference). Calgary defeated Montreal in six games to win their first ever Stanley Cup. The winning goal was scored by Dough Gilmour and Al MacInnis was named the playoffs’ Most Valuable player. First Appearance in Stanley Cup Finals - Looking to make their way to the Stanley Cup for the first time, the Flames were defeated convincingly in Game 6 by the St. Louis Saints. The Blues overcame a three-goal deficit with only 12 minutes left in the third period and Doug Wickenheiser’s game-winning goal earned them a glorious win which the Saints dubbed as the Monday Night Miracle. However, just two days after this loss, the Flames and the Canadiens met at the Scotiabank Saddledome on May 14, 1989, for Game 7. Calgary won 2-1 on goals by Colin Patterson and Al Maclnnis which led Lanny McDonald and the Flames to their first Stanley Cup Finals appearance. Vancouver Canucks - The Calgary Flames and the Vancouver Canucks rivalry takes place in the Pacific Division of the NHL. While the Canucks started off as an expansion team in the 1970-71 season, the Flames began play as a relocated team from Atlanta during the 1980-81 season. The roots of this bitter rivalry between the Flames and the Canucks lie in the stark political, economic and geographic differences between the two cities. They are separated by the Rocky Mountains which not only serve as a geographical barrier between the cities but also a political one. The animosity and competitiveness between Western Canada’s biggest cities hence gains momentum every time the two sides hit the ice. Edmonton Oilers - The rivalry between the city of Edmonton and that of Calgary is referred to as The Battle of Alberta. Edmonton is the capital of Alberta province while Calgary is its most populous city. The Edmonton Oilers switched from the World Hockey Association to become a part of the NHL in 1979. The Atlanta Flames followed suit after their move to Calgary in 1980. This gave rise to a debate about which side would reign as Alberta’s top team. The Flames-Oilers rivalry became more intense during the late 1980s. This was when they were the top teams in the Campbell Conference and perhaps in the NHL as well. Between 1983 and 1990, either Flames or Oilers represented the Campbell Conference in the Stanley Cup Finals. During this period, Alberta teams brought home a total of six Stanley Cups (out of the total eight played). Jarome Iginla - Former captain and long-time member of the Calgary Flames, Jarome Iginla is the only player to have played over 1,000 games with the team. He leads the franchise record in terms of goals and points and is only second to Al Maclnnis in assists. He is among the seven players in the history of the league to score more than 600 goals and among the 34 NHL players to post 13,000 points in his career. In the beginning of the 2003-04 season, Iginla took over as the 18th captain of the franchise. He won his second Rocket Richard Trophy as a captain and by doing so shared the goal-scoring title with Rick Nash and Ilya Kovalchuk. Under Kovalchuk’s captaincy, the Flames made it to the 2004 Stanley Cup playoffs as the sixth seed. This was the team’s first appearance in the playoffs in eight years. Jarome Iginla was also honored with the prestigious Mark Messier Leadership Award. Al MacInnis - During his time with the Calgary Flames, Maclnnis caused great damage to the rivals from the Flames’ blue line. He won the hardest shot contest in the league’s skills competition a total of seven times. Two of these wins came as part of the Flames. MacInnis won the esteemed Conn Smythe Trophy as the MVP of the playoffs in 1989 after he led the team to its first Stanley Cup victory. Al MacInnis has the honor of being the first Flames defenseman and fourth in league history to post a 100-point season. Al MacInnis ended his stint with the Flames with 822 points in 803 games. This includes a franchise record of 609 assists. The schedule for the Calgary Flames’ preseason and regular season has been announced. The upcoming games pit the Flames against exciting rivals such as the Vancouver Canucks and the Edmonton Oilers. To find out as to how much Calgary Flames season tickets are for, take a look at the events’ tickets page. Flames’ captain Mark Giordano is confident about his team. He has stated that the moves made in the offseason have put the team in a great position. Giordano expects his team to reach the 100 points mark in the upcoming season. Join Harvey the Hound and the Flames at the Scotiabank Saddledome to catch all the excitement in person! Fans can enjoy Dutton's Canadian Lounge, The HSBC Saddleroom Restaurant, the Alumni Lounge and The Whiskey all inside the arena. Our process for purchasing cheap Calgary Flames tickets is simple and fast. There are so many online ticketing sites, that it can be hard for customers to find the right place to buy Calgary Flames tickets at the cheapest price. At ScoreBig we think of our customers first and foremost. We offer daily deals for Calgary Flames events, so our customers can get the best seats for the best prices. ScoreBig will always go above and beyond to offer the cheapest Calgary Flames tickets on the market. The Calgary Flames schedule above, displays all available events for 2019 and 2020. Once you find the event that you would like to go to, click the red “Get Tickets” button. It is located on the right-hand side of the event listing, it will take you to an Calgary Flames event ticket page. ScoreBig's event ticket page will display all available Calgary Flames tickets for that event. On the event ticket page to help with your search for the right Calgary Flames tickets, use the filters at the top to select quantity, price range, and more. There is also an interactive seating chart so you can pick where you want to sit. When you are ready to buy a ticket, click on the listing, and you will be directed to ScoreBig's checkout page. Upon completion of the information fields, your order will be processed and your Calgary Flames tickets will be delivered via email, mail, or to your mobile device. What makes ScoreBig’s site stand out from the rest? We are constantly analyzing our competitors to improve our site, service, and prices. ScoreBig.com employees strive to offer the best process and experience to buy cheap Calgary Flames tickets. Our goal is to get you the best seats to Calgary Flames events. We offer daily discounts on our site and for special promotions check out our newsletter. If there are no Calgary Flames events currently available, you can use our search feature at the top of the page to see a list of all popular events going on near you. No matter your price point, we have all the best deals and discounts on Calgary Flames tickets. For more information on prices of Calgary Flames tickets and the schedule for Calgary Flames, check out our listings above. The last thing you want to find out is when the Calgary Flames event you wanted to go to is sold-out. Don’t worry in many cases ScoreBig has affordable tickets to sold out events. We sell tickets from GA all the way to premium seating and parking. Skip the scalpers in the parking lot and get your tickets online from top Calgary Flames ticket brokers. We get you in all events, buy your Calgary Flames tickets here from a brand that many trust and rely on for all their ticketing needs. ScoreBig offers a 100% money-back guarantee. If you have been in search of cheap tickets for Calgary Flames, ScoreBig by far is the best option. That’s why ScoreBig has more loyal customers than any other ticketing site. 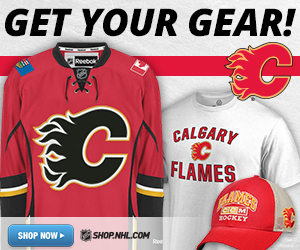 Shop at ScoreBig for safe and secure Calgary Flames event tickets.